If you want this look in a different color combination please write your color preferences in the notes section during check out. These note cards are beautiful!! Wrote them out so carefully as to not make a mistake! They are a keepsake thank you note! Loved the little bit of shimmer in the paper! 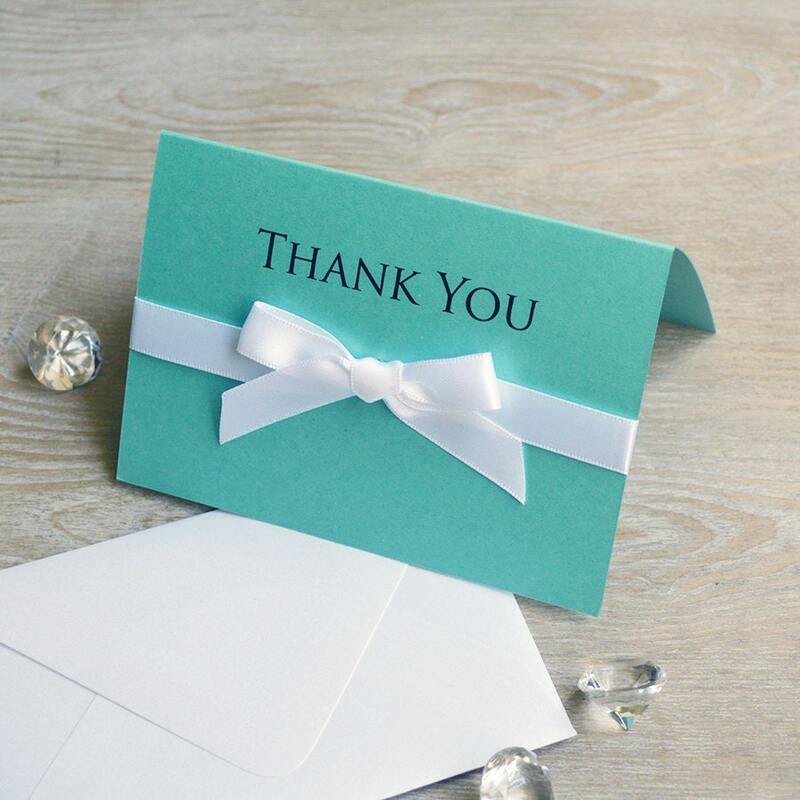 Very pretty Tiffany style thank you card. Arrived faster than expected. So cute! I love them! Perfect! So pretty! Can't wait to write thank you notes on these for all my bridesmaids.